What is interesting is there are tree dots that are clickable beside the “Learning More About [Business]”. I am not certain how many people will even notice this. That said, this is something that is not being seen by everyone as I asked my friend with a Samsung Galaxy S5 to test her search results and she is not seeing it. It is important to note that I am running the latest Android Kit Kat with my Nexus 4. 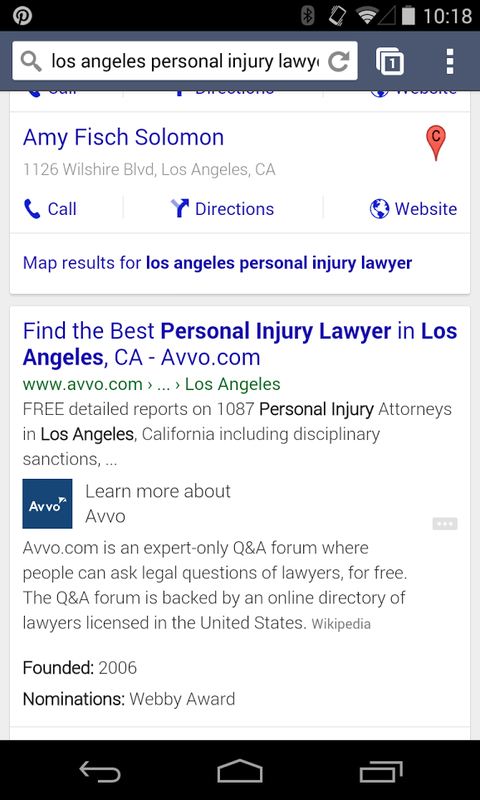 Google is sure to test search results with pure Google devices such as the Nexus 4 and Nexus 5. It will be interesting to see if there are any further developments in this test. Earlier in July I noticed that my iOS Apple iPhone 5 was only showing five (5) Google search results on the front page. I will continue to monitor this to see if it disappears on Monday morning. At this point, I am not seeing the “Learn More About [Business]” on desktop so it is likely this is not something that is going to roll out to all searchers effectively immediately. This might also be a bigger part of the adjustment in Google Local search results. Most searchers are seeing many more directories on the first page with businesses going into the “7 pack” or “3 pack”. If you have noticed any changes in Google search for mobile or desktop please feel free to reach out to me at jwojdylo@gmail.com. I have checked search results on both a Nexus Tablet and an iOS iPhone and I do not see the “Learn More About” for directories. 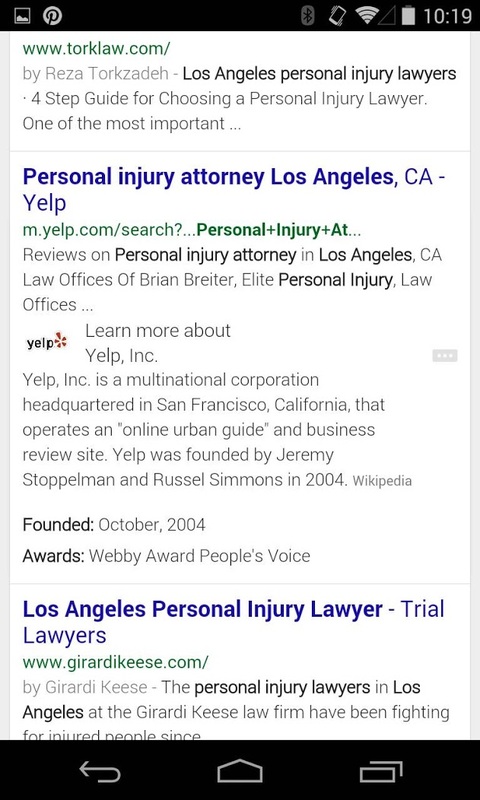 Could this be a further development of the Google Knowledge Graph? Only time will tell. Feel free to chime in.